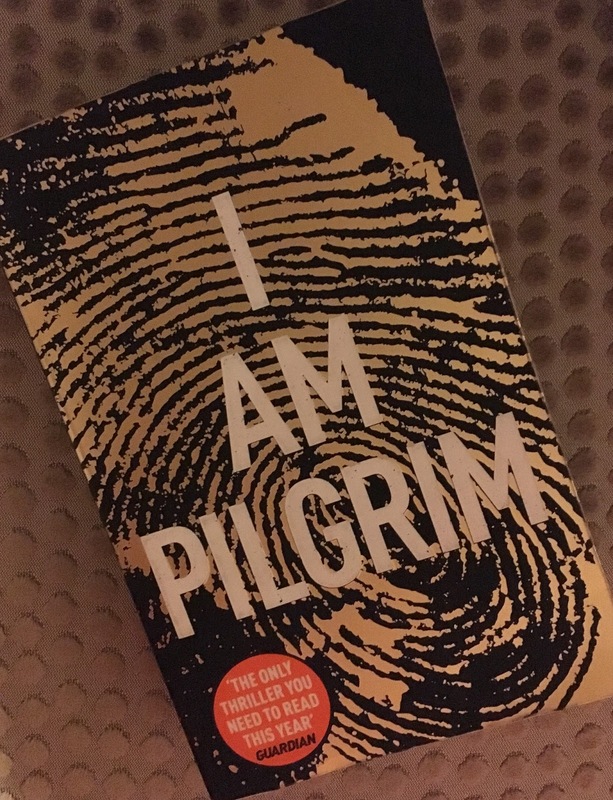 This blog has been running for several years now, meaning you can name pretty much any county and I'll know of a bookshop worth visiting. It's a niche area to be an expert in, but it does mean a random diversion through anywhere can be vastly improved by a stop at X, Y and/or Z independent bookshop. Also, given some people collect traffic cones as a hobby, I reckon my interest isn't all that odd. But there are gaps in my knowledge. Last weekend saw me take a long-anticipated trip to Telford, where a friend was getting married. Despite my having almost two years' notice, I somehow managed to forget to book a hotel until just three weeks before the big day. Meaning I also had no idea where the hotel was in relation to either the wedding or any potential bookshopping activity. 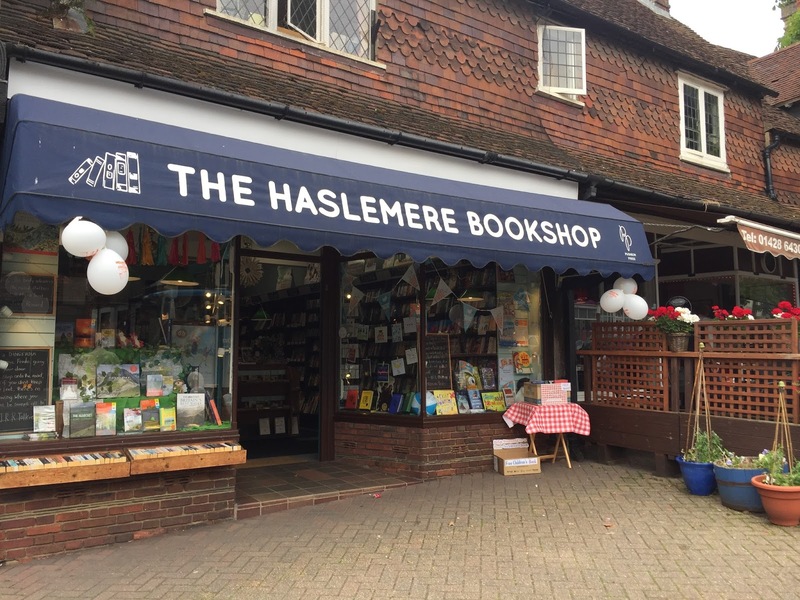 For once, the internet helped me out perfectly, reassuring me I was staying in the correct county and – more importantly – surprising me with the introduction of a new-to-me bookshop. Every now and then I do stumble across a previously unknown-to-me bookshop, but it's an increasingly rare occurrence, so to have accidentally booked my boyfriend and I into a hotel just five minutes' walk from both a bookshop and a bridge (another thing I'm quite fond of) was a welcome surprise. The Ironbridge Bookshop is found approximately a hop, skip and a jump from the bridge it's named after, an enviable location in what turned out to be a lovely village. Knowing the history of Ironbridge and its popularity with visitors I'd expected the area to be ever so slightly tacky to appeal to tourists. Instead we were met with a lovely selection of shops that are admittedly probably slightly more geared to visitors than your average village, but were also high enough quality to keep our attention and ensure that when we spent money, we spent it well. The bookshop was obviously my highlight when it came to money-spending, and within about five seconds I knew what area of shelving I was buying from. It is stocked with good quality secondhand books to tempt all tastes, but walk up a short flight of stairs to the till and children's area and you also find a wall of orange Penguins (and associated other colours). I've seen early Penguins in bookshops before, but this is the first time I've seen so many and so brightly presented and it was a wonderful treat to discover when we walked in wearing our wedding guest finery during a break in the proceedings. I quickly began investigating the selection, passing up on a few titles I've long wanted to read in favour of Wild Strawberries by Angela Thirkell because before I knew it I'd read a page and a half while stood in the shop. The bookshop is a snug, lovely little place, with a large variety of reasonably priced secondhand books. Signs around the shop offer the paperback fiction at £2 each or three for a fiver (the Penguins have their own pricing structure), which seemed very reasonable to me and certainly appealed to those browsers who were somehow able to resist the orange of Penguin. During our brief visit not long before closing time we could see it was a popular place, with customers popping in to shop and chat. 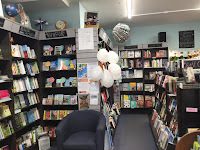 I'd hoped to meet the bookseller responsible for Twitter, who had tweeted with me about the area a week or two previously, but as is often the case when arriving at places unannounced, I'd turned up when she was on holiday. 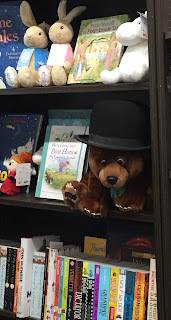 That didn't matter though, I still enjoyed a friendly chat with the bookseller I did meet. One of the things we loved about the first stop on our IBW2017 bookshop crawl was how unexpectedly big it was, with room after room opening up in front of us. That was nothing compared to the labyrinth my boyfriend and I found waiting for us later in the day. Going up a level you find room after room of secondhand books, some small, some large, some taking your round in a circle. More books are in a cupboard, and there's even a discounted area. We lost each other up here but neither of us really minded because of how much fun it was to make each new discovery. 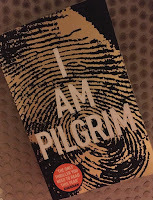 I was taken with the vastness of the fiction, the secondhand area enabling a good offering of usual suspects so the new books could be equally accommodating but also much more diverse than I'd usually expect. Alternating between the two floors meant there were some real treats to be found. Once he'd returned from charity pig-spotting around the town, my boyfriend seemed equally impressed with the non-fiction. From the very hungry caterpillar among the children's books, to a wall of letters from local schools, and a very handsome bear in a bowler hat behind the counter, this bookshop clearly reaches out to young readers too. When it came to a purchase, despite the wide array of fiction that was calling out to me I had to buy Shop Cats of New York by Tamar Aslanian. Not a book I've seen before, it's a beautiful selection of photographs with brief explanations and made this Crazy Cat Lady want to hop on a plane immediately. Hopefully they'll still all be there in three years' time. 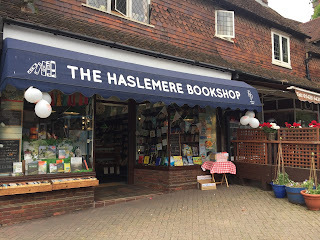 This book, our wonderful surroundings, and a question about the pigs scattered around the town*, prompted a very cheery conversation with the booksellers, further confirming my love for The Haslemere Bookshop. 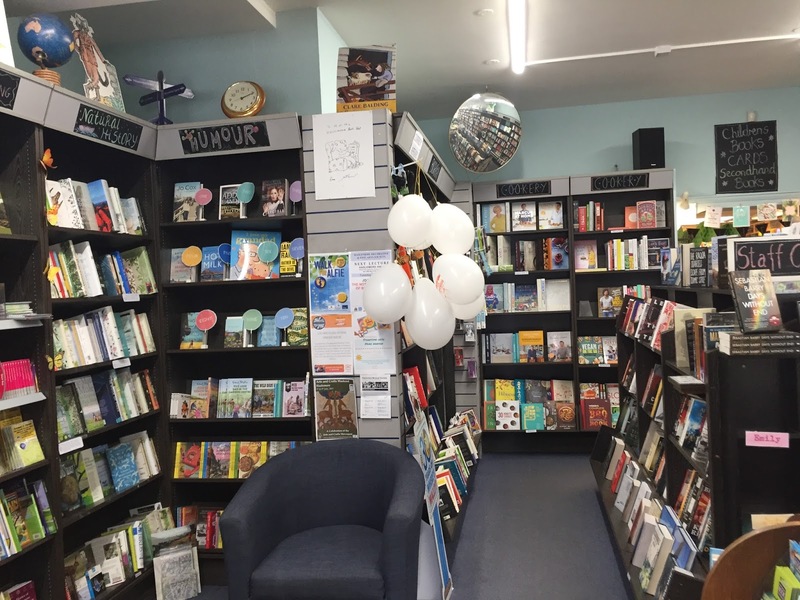 They had a natural enthusiasm for books and friendliness towards customers – the ones who wanted to say hello – that meant I'm sure anyone would feel welcome and at home here. Not only did they share (humour?) my love of cats, they explained about the pigs and very generously increased my knowledge of the other bookshops in the not so near area. 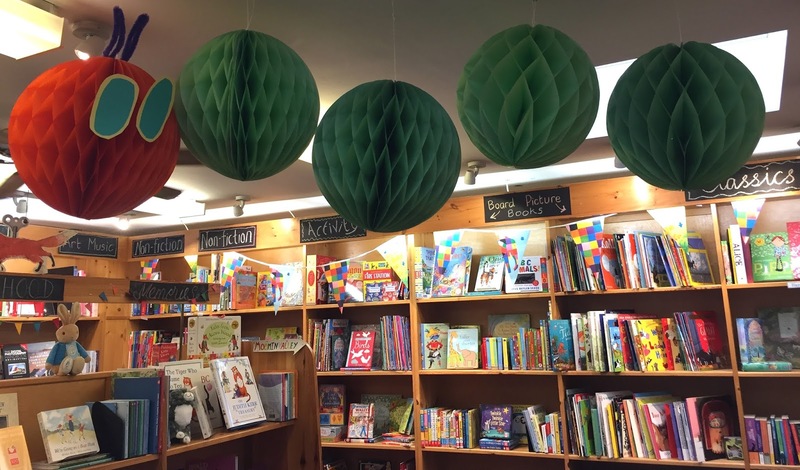 It's always a good sign when bookshops are friends with their neighbours, even if some of them are quite a distance away – who needs rivals when there's a wonderful booky community? * Apparently the Haslemere Hogs were decorated by businesses and auctioned off to raise money for charity.